The NHS is placing an increasing emphasis on outcomes. In our marketing excellence month, Neil Cooper explores the opportunity this presents to pharmaceutical marketing to establish complementary priorities and build the foundation of pharma’s future success. The NHS in England is undergoing significant change and with it the way it defines success. The Health and Social Care Act 2012 set out a vision for the NHS that will see it focus relentlessly on “outcomes for patients … in order to deliver more effective and efficient care”. ‘Outcomes’ will form a key pillar of the new NHS and therefore how the pharmaceutical industry must engage with it. NICE guidance is a familiar feature of NHS decision making and it will remain very influential over how drugs are prescribed across England. Clinical commissioning groups (CCGs) will refer to it as they seek to deliver on their duty to eliminate health inequalities, however it will be tempered CCGs who must be responsive to the unique needs of their local population. In this respect, a locally relevant value proposition will be an important feature of decision making and a key point of influence for the pharma industry. It is nothing new for pharma brands to develop a value proposition and, to a greater or lesser extent, the health economic business case has always incorporated an outcomes analysis. The shift that will inevitably take place is towards a higher burden of proof that a drug will actually deliver the outcomes being claimed. Although less of an issue for drugs administered in a controlled setting, consider the challenge for the majority of drugs used in primary care where it is largely the patient who is responsible for taking their medication as prescribed. Few manufacturers would want to rely on patients to ensure they were building an accurate picture of outcomes – clinical trials conducted could be found severely wanting as a result of assumptions made. This raises three important issues. Firstly, with an emphasis on outcomes as a primary endpoint, patient monitoring will become ever more relevant. It is doubtful that many manufacturers out there will be happy for the NHS to take sole responsibility for monitoring real-world drug performance. To address this, pharma would do well to develop a clear strategy for how they monitor the outcomes of patients who take their drugs. This could be in the form of industry-led initiatives or partnership arrangements with the NHS, but there is little doubt that backing up outcomes claims with robust evidence will be a critical feature of marketing activity. The second key issue will be the need for pharma companies to develop a deep understanding of the local health economy. 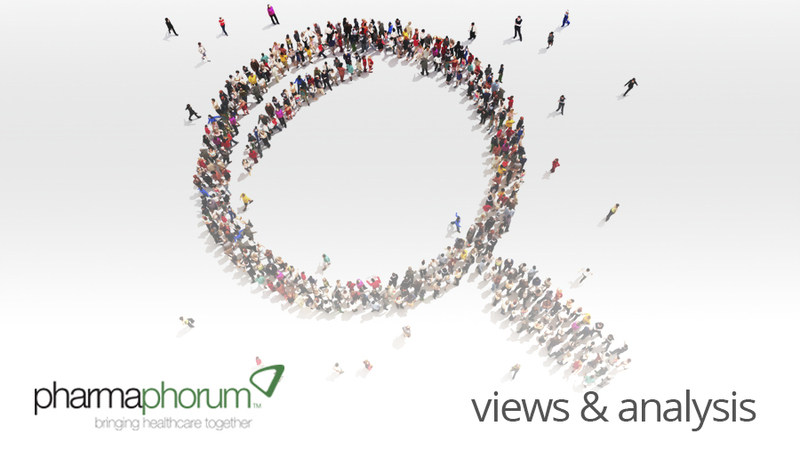 CCGs care most about the needs of their local population and the pharma industry must engage with them on this basis. That means knowing the demography of a CCG, knowing its disease profile and, crucially, knowing its strategic priorities. Application of outcomes evidence that is relevant to the patient profile of a CCG will make a potent case that will be hard for local commissioners to ignore. The challenge then moves to knowing who best to influence for maximum commercial impact. Key Account Managers have been the industry’s response to this in recent years and may be the best bet for the future. Only time will tell but the key point here is: know your local market and who influences it. The third issue of particular note, implicit within the focus on outcomes, is the increasing relevance of adherence. Good outcomes demand patient adherence and the pharma industry has long understood its commercial value. According to a 2008 report from IMS Health, non-adherence is estimated to lead to a loss of 36% in potential drug sales. However, this demonstrates the carrot encouraging pharma to develop effective adherence programmes. The stick will become much more influential in the coming years. As the NHS seeks to implement increasingly sophisticated outcome-monitoring solutions so too must the pharmaceutical industry place an even greater priority on adherence programmes. An adherence programme that effectively supports patients to take their medication as prescribed will enable the drug to work as intended and give the patient the best chance of a positive outcome. When these outcomes are the foundation of guidelines and protocols that determine access to their drugs it is plain to see their relevance to pharma. So where does this leave pharmaceutical marketing? It is fair to say that drugs are very unlikely to get used unless they can demonstrate an objective outcomes benefit. Outcomes will need to be embedded in strategic planning so that it is a primary reference point throughout the product life cycle – underpinning the data and claims being made in marketing campaigns and then adapted to the specific needs of local decision makers. The new NHS faces many challenges but there are also real opportunities. Understanding the priorities of the new NHS will build rapport on a personal level and build trust at an organizational one. No matter what pharma does it must work to understand customer needs and that means having an awareness of the national context whilst being responsive at the local level. Neil is co-founder and CEO of Clinical Current, a specialist health consultancy and technology business based in London. Neil began his career at Insight Research Group, one of Europe’s leading healthcare research agencies and a founding member of AIM-listed Cello Group. At Insight Neil specialised in sales force effectiveness and campaign implementation, conducting work for many of the top global pharmaceutical companies. During this time, Neil also completed a 12 month secondment supporting business development initiatives across the Cello Group of companies. On leaving Insight, Neil spent time travelling in South America and then as a freelance consultant to the healthcare industry. A natural entrepreneur and fitness enthusiast, Neil has previously set up a managed a business providing guided running tours around London. Neil now competes in triathlon and will be racing at the UK 70.3 in June 2013. How can pharma better understand its customer needs?